Policy Solutions is a progressive political research institute based in Brussels and Budapest. It was founded in 2008 by private persons and it is committed to the values of liberal democracy, solidarity, equal opportunity and European integration. Policy Solutions' staff have previously worked for the Hungarian or EU public administration and/or for domestic and international consultancies. Their background offers us insights into the workings of European politics, public administration, academia and the for-profit and non-profit sectors. 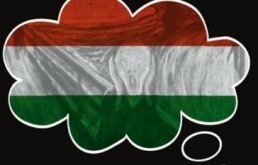 The focus of Policy Solutions’ work is on understanding political processes in Hungary and the European Union. Among the pre-eminent areas of our research are the investigation of how the quality of democracy evolves, the analysis of factors driving euro-scepticism and the far-right, and election research. 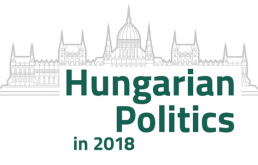 We place a great emphasis on analysing and presenting the Hungarian political and public policy trends in a European context, comparing them to European and regional trends. In the course of our consultancy work we embrace the perspective that modern politics ought to be more than daily communication battles, and that strategic and public policy planning should play a more important role in the world of politics. We believe that even the best communications efforts are not worth much unless they are based on high-quality substance; but also that even the best public policy ideas will likely fail to exert a great impact unless they are well-presented. Policy Solutions considers it important that political research and the interpretation of political and policy developments should not be intelligible or of interest to only a narrow professional audience. That is why we generally share our research results with journalists working for leading Hungarian and international newspapers, television channels, radio stations and news portals, as well as NGOs, international organisations and members of the diplomatic corps, leading politicians and corporate executives. We regularly organise conferences and workshops on different political topics from European affairs to political extremists. Policy Solutions works with several international think tanks in pursuing its projects. The Friedrich-Ebert-Stiftung (FES) and the Foundation for European Progressive Studies (FEPS) are among our principal partners.